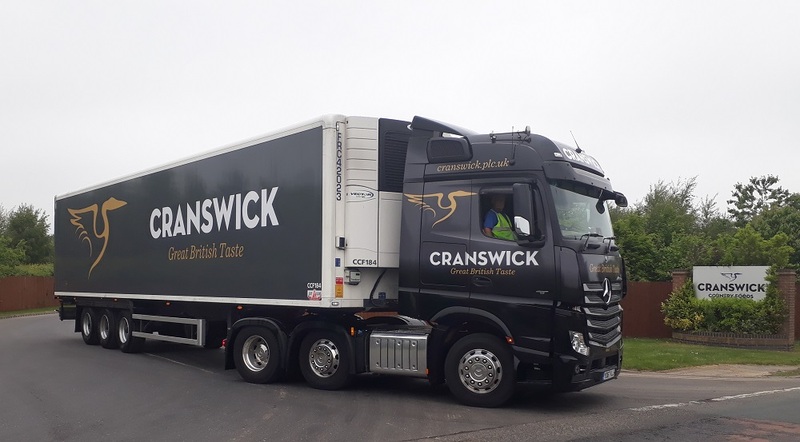 Cranswick has reported a growth in half year sales and profits, driven by its poultry business, offsetting declines in its pork sales. Total revenue in the six months to 30 September 2018 was a record £719.2 million, 0.6% higher than in the corresponding period a year ago and featured a significant increase in sales of poultry products. Adjusted profit before tax for the period was 0.9% higher at £44.8 million compared to £44.4 million in the corresponding period last year. Poultry revenue increased by 19.3% compared to the same period last year. The ‘ready to eat’ chicken category continues to grow ahead of the wider UK meat protein sector and fresh chicken also continues to outperform, said the firm, with market volumes ahead by 6.1% and 3.1% respectively over the last year. Cranswick’s fresh chicken business operated at full capacity during the period, processing an average 500,000 birds per week. The business was affected during the exceptionally warm summer by reduced bird growth and increased mortality. Also, higher soft commodity prices increased feed costs and wholesale chicken prices were lower year-on-year. The £60 million investment in a new poultry processing facility in Eye, Suffolk, which was announced this time last year is progressing to plan. Capital expenditure of £12 million in the period included £11 million on the project, with the steelwork frame now under construction. The factory, which will be capable of processing 1.2 million birds per week, will be operational towards the end of the next financial year. The facility will be the first of its kind to be constructed in the UK for almost 30 years and will, when fully commissioned, be the most technologically advanced and efficient facility in the UK industry. Cranswick said it had also committed to further substantial investment in our upstream agricultural operations to ensure that we have a sustainable supply chain to serve the new processing facility. Sales of premium cooked poultry grew strongly reflecting the full period benefit of business wins with two of the group’s principal retail customers in the prior year and the launch of new lateral sliced products with one of those customers during the period. Adam Couch, Cranswick’s chief executive officer commented: “The first half performance was in line with our expectations. They were achieved despite more uncertain domestic market conditions and softer pricing in key export markets. “The Group’s capital investment programme remains firmly on track. During the period we spent a record £41 million across our already well invested asset base as we build a platform for future growth. “Our new £27 million Continental Products facility in Bury, Lancashire was commissioned during the period. We have also invested heavily in the group’s agricultural operations and construction of a £60 million class-leading, primary poultry processing facility in Eye, Suffolk, which is due for completion towards the end of the next financial year, is now well underway.